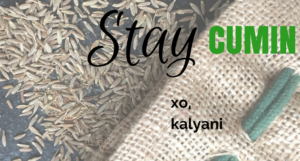 I have been wanting to introduce something sweet to Cumin Nature. My mom used to make the most delicious dessert growing up, that had the perfect balance of sweet and smokiness — sweet potatoes with jaggery and cardamom! It’s the perfect sweet kick to satisfy your sweet teeth without all the refined sugar. That’s the beauty of jaggery, in all honesty. It is an Indian food treasure for healthy treats masked as treats! My version adds almonds and raisins, but this is pretty much the same recipe my mom used. What exactly is jaggery anyway? 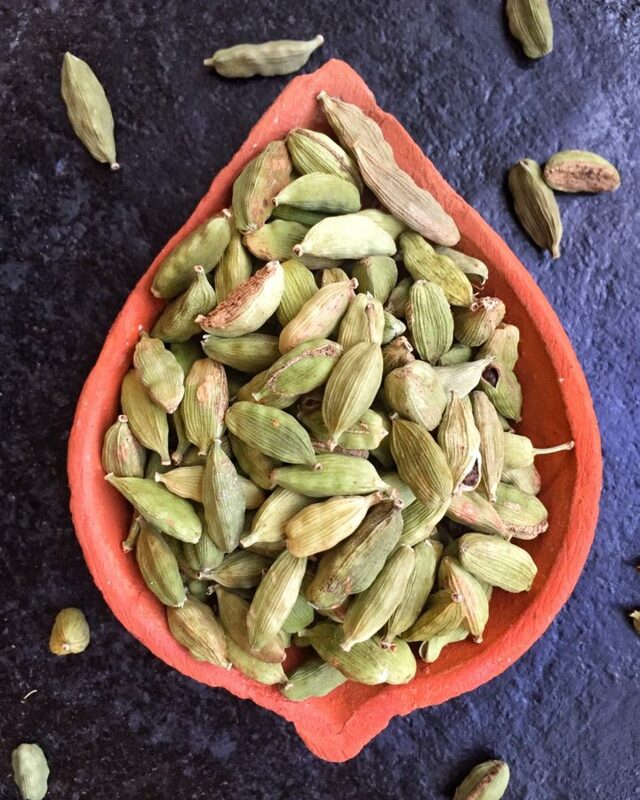 Cardamom… more like, CardaMOTHER of all spices! Remember, most ingredients we use in our recipes are also found in our trusty Indian Pantry cheat sheet, which has links to every product on the pantry list on Amazon. Who says you can’t be a cumin being and Indian food specialist without leaving your house?! 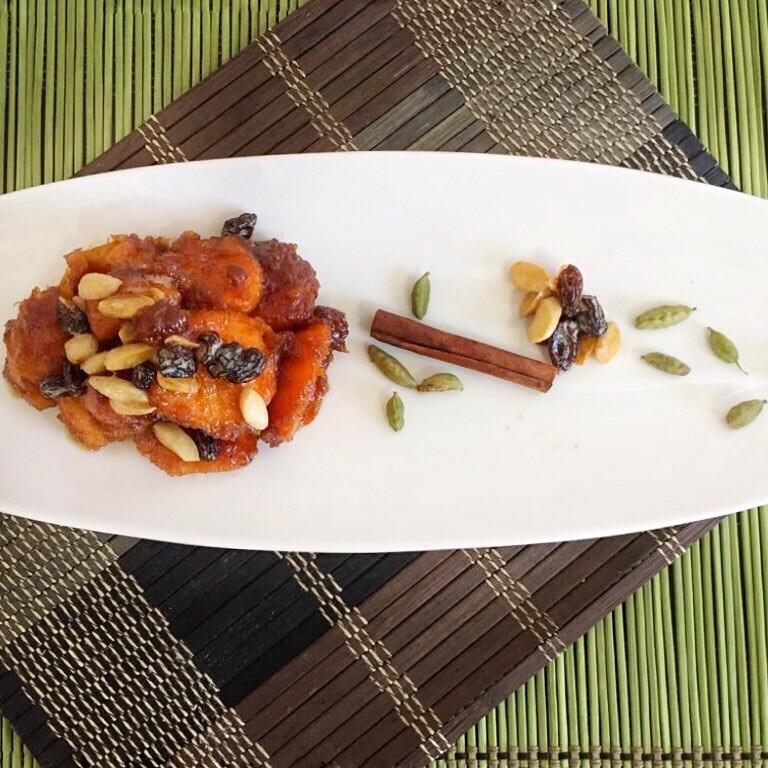 Given the health properties listed above, adding jaggery and cardamom to my sweet potatoes to “candy” them up was the perfect tip to a beautiful, healthy and aromatic dessert. My girls ended up making this for two separate dinner parties and were met with a lot of “oooh’s” and “aaah’s”. 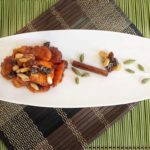 This might be an interesting take on sweet potato casseroles during Thanksgiving time without the marshmallows (as much as my younger daughter loves them, they are not vegetarian and are truly just bites of sugar!). Try my recipe below and let me know what you think! Be sure to leave a comment below or rate the recipe once you’ve tried it. Questions? Contact me here, tweet me here, or find me on Facebook and Instagram. I’m reachable for all of your needs! 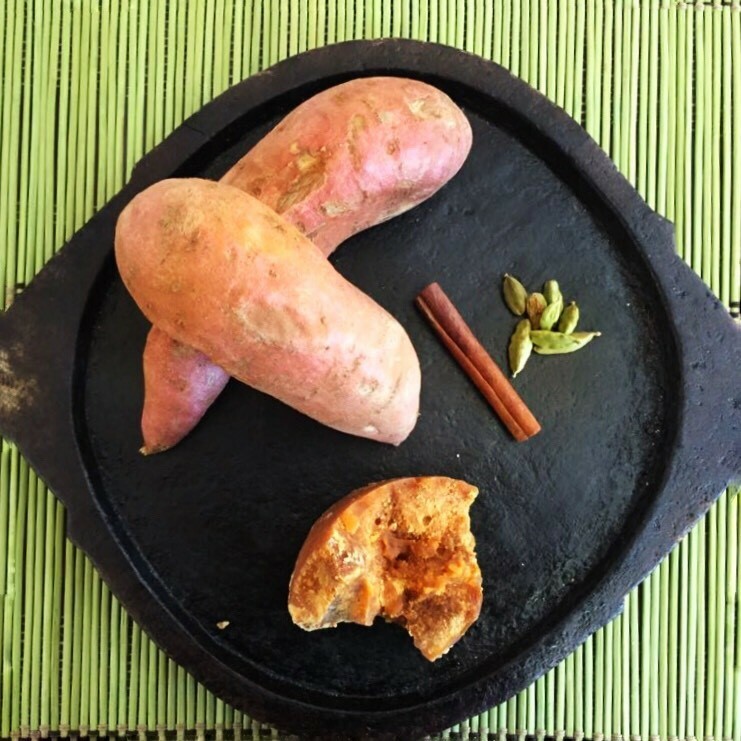 Sweet potato dessert with healthy sugars and spices. Peel and chop potatoes into ½” discs. Heat a thick bottom saucepan. Add the potatoes and 1 to 2 tablespoons of water to the pan. Cover and cook on medium low heat for about 10 to 15 minutes until the potatoes are fork tender. Check the potatoes. If they are not tender yet, cook for few more minutes until the desired consistency is reached. Sprinkle little water if necessary. Transfer the cooked potatoes to a bowl. Return the saucepan to the stove. Add jaggery, ¼ cup of water and cook on medium high heat. When jaggery has completely dissolved, strain the syrup to remove impurities. Transfer the syrup back to the saucepan, add cinnamon stick and cardamom and simmer for about 8 to 10 minutes on low heat until it gets thick and sticky. Fold the potatoes into the thick syrup and cook on low flame until both syrup and potatoes are combined well together and the potatoes are coated well with the honey golden syrup. Remove the cinnamon stick and transfer the potatoes-jaggery mixture to a bowl. Prepare the garnish. Heat butter in a small fry pan. Add blanched almond slivers and fry until light golden. Add raisins. The raisins will plump up immediately. Turn the stove off. Spoon the garnish over the sweet potatoes.